They have only one hope... each other. 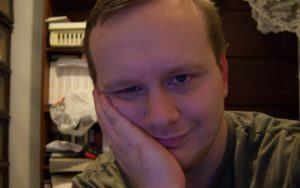 Declan Finn is the author of books ranging from thrillers to urban fantasy to SciFi. 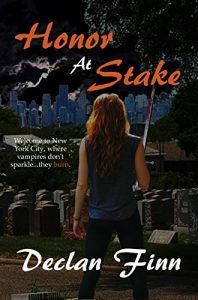 This most popular of these books includes the 2016 Dragon Award nominated novel for Best Horror, Honor at Stake: Welcome to New York City, where vampires don't sparkle, they burn. The sequel, Murphy's Law of Vampires and Live and Let Bite are already out. Finn is one of a legion of writers over at The Catholic Geeks blog (a legion, for we are many). Other books he has written includes the comedy-thriller It Was Only on Stun! where he blows up a sci-fi convention (no, not this one). The sequel is Set to Kill, a novel that spun off of his parody, Sad Puppies Bite Back. He co-authored the science fiction espionage novel Codename: Winterborn, and Codename: UnSub. However, he is most proud of his The Pius Trilogy – book one of which, A Pius Man, will be rereleased from Silver Empire Press in 2017 Finn also hosts the Catholic Geek Radio show, and can be found wherever someone is starting trouble.